Timothy O'Shaughnessy, chief financial officer of the Archdiocese of Philadelphia. Timothy O’Shaughnessy, 48, has been named chief financial officer of the Archdiocese of Philadelphia effective April 16, according to a statement today by the archdiocesan Communications Office. 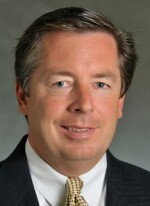 O’Shaughnessy most recently served as CFO for St. Joseph’s Preparatory School in Philadelphia since 2008. In that role he was responsible for overseeing all finance-related matters including the school’s budget, treasury and debt management, and the yearly audit. Prior to that, O’Shaughnessy worked for ARAMARK most recently as a senior vice president and chief financial officer of the Business, Sports and Entertainment Group. His responsibilities included annual business planning, budgeting, improvement of internal accounting controls and participating in monthly operating reviews. While at ARAMARK, O’Shaughnessy also served on the company’s Business Conduct Policy Committee, which in part focused on improving internal controls and procedures to prevent loss. O’Shaughnessy holds a bachelor’s degree from La Salle University in business administration and accounting, and an MBA from the Wharton School of Business at the University of Pennsylvania. Earlier in his career he was a certified public accountant in the Commonwealth of Pennsylvania. In addition, he currently serves on the Audit Committee for Holy Family University, is a board member of the Cristo Rey Philadelphia High School and is a director of Polonia Bank. Tim and his wife, Marianne, who have five children, are parishioners of St. Maximilian Kolbe Parish in West Chester. Congratulations and best wishes on your new assignment and responsibilities. May God bless you as you undertake a most difficult task within the Archdiocese of Philadelphia.